DeQuervain’s Tendinitis causes sharp pain on the radial (thumb side) of the wrist. This pain is located just above the thumb, and is usually worse with lifting and gripping. 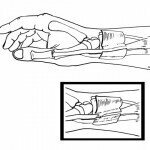 DeQuervain’s Tendinitis is due to a space problem, similar to carpal tunnel syndrome. However, instead of a nerve getting compressed (as in carpal tunnel syndrome), with DeQuervain’s Tendinitis it’s the thumb and wrist tendons that get compressed. The wrist hand and wrist tendons travel through tight tunnels. Overuse or injury causes swelling, which takes up extra space inside the tunnels, pinching the tendons inside. DeQuervain’s Tendinitis is common in mothers with small children, who repetitively lift their children. Frequent lifting with the thumb pointed up leads to tendon overuse, swelling and eventually to DeQuervain’s disease. Gardeners who do a lot of weeding also develop DeQuervain’s Tendinitis, as can manual laborers, or anyone else who often lifts heavy objects. The swelling of pregnancy can also cause fluid to enter these tunnels, leading to DeQuervain’s Tendinitis. Diabetes, thyroid disorders and simple aging can cause the tunnel walls to thicken and the tunnel to become tight, also leading to tendon compression. Initial treatment is to avoid the painful activities. In other words, avoid lifting with the thumb up. If lifting is necessary, lift with the palm up or the palm down. To lift up small children, keep the palm up and ‘scoop under’ the child’s bottom. Try to use the other hand to bear most of the weight. A single steroid injection often helps by decreasing swelling and inflammation in the tunnel. In mild cases, a single injection can be curative, especially if the problem is treated early and repetitive stressful activities can be avoided. Unfortunately, sometimes there’s a very small subsheath, or second tunnel, for the thumb’s tendon that causes problems. Tendon compression within this small tunnel can be difficult to improve with injections. If non-operative measures don’t work, or if they work but the tendinitis recurs, a surgical release is very effective. This is an outpatient surgery, performed through a small incision and is not very painful it all. Releasing the tendons allows them to heal. How long it takes to feel better often depends on how severely and how long the tendon was compressed. Note that if a surgeon simply releases the tendons and allows early motion, the released tendons can occasionally sublux (move back and forth), leading to an annoying, painful snapping. To prevent this, after releasing the tunnel around the tendons, I prefer to lengthen the fascia (the tough material that makes up the tunnel) and then repair it back to itself in a lengthened position with extra room for the tendons, like a seatbelt around them. This reconstruction helps prevent subluxation. DeQuervain’s Release is extremely effective and the vast majority of patients return quickly to their regular activities. Following surgery, a splint is worn for 24 hours, during which time it must be kept clean and dry. Bathing is safer than showering. Wrap a towel around the dressing in case any water gets in, then place a plastic bag over the dressing and secure it tightly with rubber bands. After 24 hours, the splint and dressings can be removed and the incision can get wet in the shower. After showering, blot it dry. There is a piece of special tape over the wound. The longer it stays, the nicer the wound will do. It’ll fall off when it’s ready. Don’t submerge the incision under water (i.e. no swimming or putting the hand under water to do dishes) for 10 days after surgery. The stitches are absorbable: There are no stitches to remove. Computer use and typing are fine immediately after surgery. 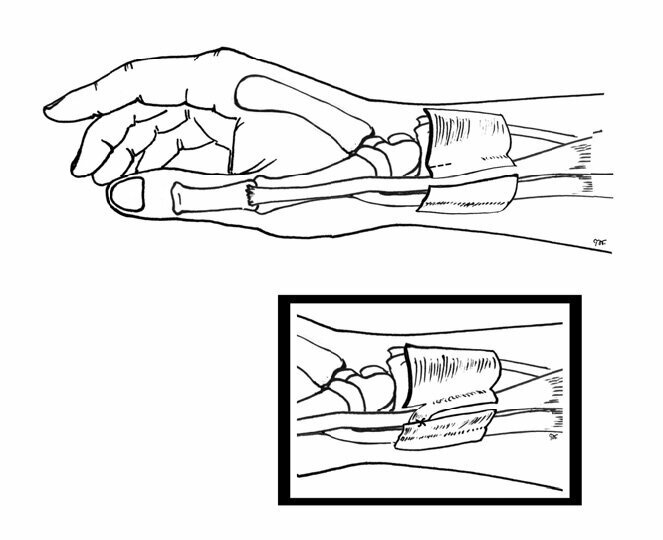 After the splint is removed, the wrist can be moved normally and used within the limits of pain. Avoid heavy lifting and gripping that can stress the tendons while they are trying to heal. If it is necessary to lift something, try to keep the palm up or palm down while lifting. In other words, try not to lift with the thumb up (which caused the problem in the first place) while the tendons are healing. Non-painful activities can be performed. 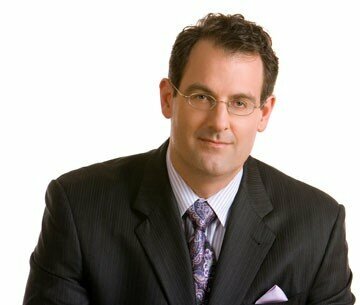 The vast majority of people do extremely well following DeQuervain’s Release.